Dr. Eric Dai is a board certified ophthalmologist and provides medical and surgical treatment of the eye. He has extensive experience performing cataract and corneal transplantation surgery. Dr. Dai is a native Texan and a graduate of Rice University. After medical school at the Baylor College of Medicine, he completed an ophthalmology residency at the University of Texas Medical Branch during which he served as Chief Resident. Dr. Dai then received additional specialized training through a fellowship in cornea and refractive surgery at the University of Texas Southwestern Medical Center. He has been recognized as a Texas Super Doctor as published by Texas Monthly since 2012. When not at work caring for his patients, Dr. Dai enjoys spending time with his family and preparing Asian cuisine. "...I continue to see Dr Plunkett and trust him." "I had my first appointment with Dr. Khan Farooq today. Total rock star in every way." "Dr. Wollan is the best." "Dr. Wollen is awesome! He's kind! One of the BEST eye doctors i've had hands down." "I wouldn't trust anyone else with my eyes!" "I've never had better care and attention from a health care professional." "If you're at all curious about LASIK, I highly recommend making an appointment here." "I recommend them very highly." "I can't say enough about how impressed I was. They are super sweet also!" 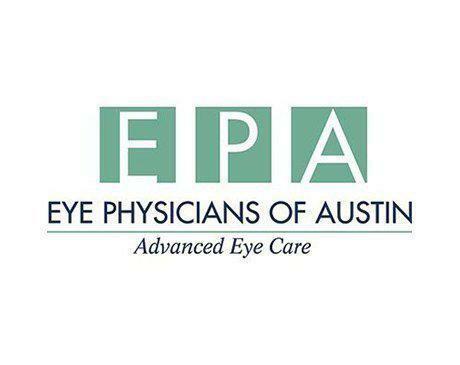 "Eye Physicians of Austin is a phenomenal place for expert eye care!" "Convenient location and parking. I love that they disinfect all the equipment right in front of you before your face and chin touch all their eye testing equipments." "Went in for a complete eye exam. The front desk staff were wonderful, very friendly and extremely helpful. the technicians in the back were extremely courteous..."
"Fantastic clinic. They took us in immediately on a Monday morning for concerning eye issues that developed right before the weekend...5 stars for sure!!!" "Drs. Dai & Wollen of The Eye Physicians of Austin literally gave me back my sight!! I can't recommend these & all the doctors at The Eye Physicians of Austin enough!!!" "Wow! They're so nice. I even had a nurse to hold my hand while some work was being done on my eye! Now, how sweet is that?" "Dr. Peter Wollan walks on water, as far as I'm concerned. He did cataract surgery on my right eye and the results are amazing. If there were 10 stars, I'd give them." "My wife and I have had great experiences with Eye Physicians of Austin. We've been seeing Dr. Buckingham for several years and she's always treated us well." "I love this place. I see Dr. Dai and have seen Dr. Pierce before and they are both great doctors." "Dr. Dai was great, super nice, had a great smile and talked to me in a way that was easy to understand!" "Dr. Pearce who was calm, patient and kind when I was freaking out. He not only saved my eyeball, I see just as well as I did before. 20/20 with correction." "Day 1 Lasik seeing perfectly. Much thanks to Dr. Pierce and Eric as its been seamless." "I've been a glaucoma patient for over 30 years, n that time, I've learned how to tell the good from the bad glaucoma doctors, and Dr Wollan is definitely a good one." "I recently saw doctor Khan Farooqui, an amazing person and physician really enjoyed his feedback for me and his medical attention." "Dr. Wollan is outstanding. He took the time to explain my situation and the action that needs to be taken to prevent further damage." " Dr. Pierce is personable and extremely competent. I can't recommend him or this practice enough." "Dr. Dai removed a small piece of wire from right eye and I felt no pain. The eye soon healed and my 20-20 vision was returned." "My husband and I have seen Dr. Plunkett at Eye Physicians of Austin for several years and we've received excellent care." "Very professional operation. Dr. Buckingham is a great doctor with a pleasant manner. Wait times are reasonable and communication with the front desk is smooth." "I will probably be seeing Dr. Wollan for some time and what better place than Eye Physicians of Austin!"